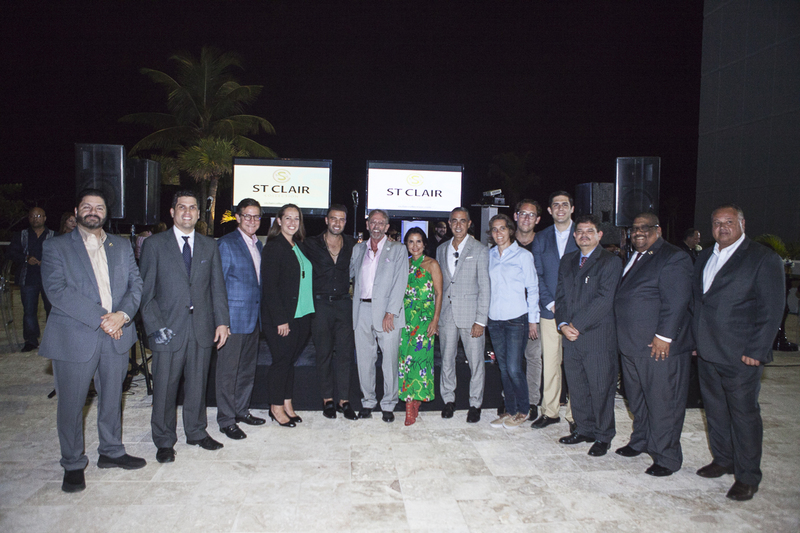 San Juan, PR- Before a large group of people was presented the new brand in the tourism industry in Puerto Rico, St. Clair Collection chaired by the businessman and investor Mr. Keith St. Clair from England, who resides in the Island three years ago. Under the distinctive St. Clair Collection, industries such as: hotels, film studios, finance, construction and project development and their greatest passion are music. The evening also served as a preamble to present the new union with the prestigious brand The Registry Collection, recognized worldwide for the service and locations of five stars offered to its members. Currently St. Clair Collection, has 24 rooms called Lanais that will be part of this new alliance. All rooms, overlooking the pool and beach have been completely remodeled in shades of blues and white, taking into account every last detail. They have flat screen TVs, bathrooms in granite, stainless steel equipment, refrigerator, stove and microwave. “We see in Puerto Rico the perfect panorama for the development of solid economy in several industries, which is why today we reaffirm the commitment we have with the island, our goal is a continuous expansion and diversification of our business lines that allow the development of new jobs on the island, “said Keith St. Clair CEO of the company. It is expected that by the end of December of this year the remodeling of all the rooms of the new MARE and the inauguration of the adjacent JADE hotel will be completed. Soon it will be celebrating the placement of the first of the Puerto Rico Film District, the first development on the island of fully digital film studios and with a tourist component, which will be located in the Miramar Convention District. According to Mr. St. Clair, in the pipeline are projects on the table, at the airport, the municipality of Cayey and on the island of Vieques, which are being shaped and will be part of the new brand Mr. Clair Collection.